I was Targeted back when I worked for Lockheed Marten Marietta Energy Systems as an employee, from 1990 to 1995. I believe the technology to target a human being with a radar beam for the purpose of remote surveillance was being tested on employees. l worked at the PORTSMOUTH Gassious Diffusion Plant in Piketon Ohio as a Computer Programmer but the skill they really wanted was my electronics instrumentation experience. The Uranium Enrichment plant where I worked was in the midst of a bitter strike by hourly workers. They needed someone with electronics instrumentation skills and experience to work on what was known then as CADP or the Cascade Automated Data Processing System. In other words they hired me as a computer programmer, but expected to have me be a strike breaker, working as an electronics hourly worker. I say it that way because that is the way it happened and it was planned to happen that way. It was 1950’s technology and was the safety system for the plant. It was supposed to alert the plant operators to problems with the equipment in advance so they could moderate or shut down the enrichment process. Now that the hourly workers were on strike they didn’t have the staff who knew how to repair it and keep it in service. This is where I came in with my electronics and electro-mechanical experience. I never would have taken that job if I knew I would be a strike breaker. I am also sure my handler would never have taken his job if he knew he was as disposable as I am. I say that because I see now that my fate was sealed more than a year before when I made the decision to quit my job for ICF Corporation in Fairfax Virginia and go to work at that Uranium Enrichment Plant in Piketon Ohio. I realize now that Lockheed Martin Marietta was an early developer of the targeting technology. Based on the time period, the technology was already in use at that time but still in development and very secret. But it works now as I can attest. I have scars and injuries to prove it. Today I made a video of scars and Electro-Chemical burns on my chest. One of the many Syops used by the handlers is to defer using some technology until later, which the target may associate with a place or the people involved in the targeting. This is designed to fool the target into thinking something that happened at an earlier time and has nothing to do with the people or place where the targeting actually happened. Psyops is short for Psychological Operations and means to fool someone in to thinking things are as the PSYOPS operator wants the Target to believe. The people doing this are into SIGNALS INTELLIIGENCE and PSYCHOLOGICAL OPERATIONS. They use remote signals intelligence on people who they want to spy on. They are using it on me to make sure that they handle me in case I remember how I was targeted and the circumstances for the targeting. There is nothing special about me other than the fact that I was targeted. Not everyone can say they were targeted as an employee of Lockheed Martin Marietta Energy Systems and I want people to know that because I wasn’t the only one. It has worked in many, many cases before to demoralize targets better than other injuries they tested. the handler is trying to let me know he is injuring my thumbs by showing me that he can stab me in various places so as to say I am here doing this to you and you can’t stop me. Then he waits until I am in mid motion to injure my thumb as if to say I can do this at will and you can’t stop me. before they started torturing me in August 2010, my handler; hurt my thumbs without letting me know he was doing it. This was approximately the time period of 2001 to July 2010 (9 years approximately). During that time I knew nothing about the targeting and was a NON Targeted Individual as far as I was concerned because I did not suspect it until after I was targeted in August of 2010. It is telling to note that I had to have my thumb joints REPLACED in 2009 due to suposed ARTHRITIS IN MY THUMBS AND NOWHERE ELSE. Yes, I am completely healthy except for ARTHRITIS in my thumbs which had degraded to the point where i had to have surgical replacement therapy! What an odd occurrence that is, because I am a white collar Information Technology worker and not a factory worker . Then it is also quite a coincidence that my handlers target my just replaced, new thumb joints after my targeting began in August 2010. The handler can either be heavy handed or light handed. There are reasons for both and they all do both heavy and light handed injuries and control. I think they target my new thumb joints because that is what they are trained to do, because it hurts. These people destroyed my thumb joints in the first place and now continue doing the same because that is what they do. If the handler is assigned to work on unwitting targets then he will be light handed so they will not suspect. The handlers using a light handed touch, will cause an injury to the thumb which the target will not suspect is torture, but will think it is a normal aging or twisting or pulling pains in the thumb. The target will not realize that anyone is doing this to him and it is what the handler wants it to seem like. These many injuries will chip away, break down or wear down the target and he wont even realize that anyone is doing it to him. He will just think it is bad luck that his body is failing him. He may become addicted to pain killers due to pain inflicted by handlers and out of his control. Does this sound like you or anyone you know? If so you must speak out, but don’t go to the police because they won’t help, instead go to http://FreedomFCHS.com http://FreedomFCHS.com and talk to someone at freedom from covert harassment and surveillance who will help you identify what is happening to you. You may be an unwitting target of CIA trauma based mind control. The reason you must act is that eventually the target will succumb to this soft kill program and be so demoralized that he will commit suicide and it will be his idea to do so. Yet the handler who has caused this death and will watch this happen as though it is a video game. To the handler and his Corporate bosses and also to the NSA and CIA this death is seen as a success! They caused their target to commit as a result of the soft kill program they had enrolled him in. He commits suicide as a result and this was the desired outcome all the while. ‘Some refer to this suicide sarcastically calling it “NSA SUICIDE”. 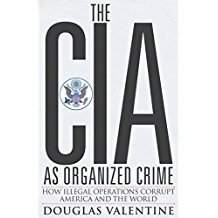 One thing they originally sought to do in the CIA, was to get a person to do their bidding, even to the point of acting against their own better interests to the point of disregarding injury or death. The other thing they set out to do was to cause their enemies to commit suicide and have discovered what it takes to make that happen. They have realized all of those malignant behaviorisms and more. 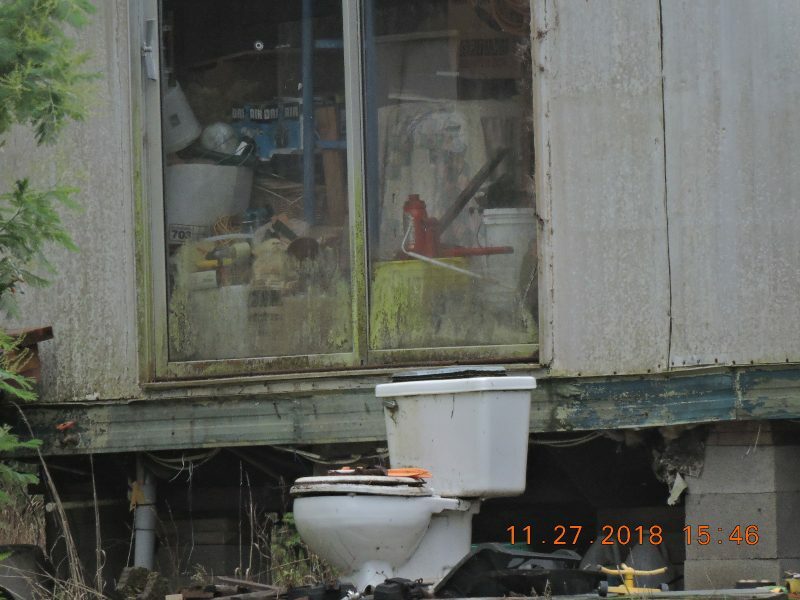 Non targeted individuals need to realize that they may not be able to notice if and when a contractor is targeting him. They may be looking to see something the target has access to or someone the target has access to or to kill the target. The handler can see and hear everything the target does and they can either watch (observe second by second) or join in with slow kill tactics. So use your own imagination about this and try to understand that the handler is a sociopath without empathy who will implement his bosses agenda no matter what it takes to make that happen. The outcome of this is in the non targets court and it is the non targets turn to either identify the problem that Targeted Individuals are so aptly identifying as human experimentation and torture. You must think like a psychopath to even imagine what is possible. These people only have their directed energy weapons to use to get you or others to modify their behavior. It is said that when all you have is a hammer, everything looks like a nail. You see, it is the way it is because people don’t want to be bothered with things that sound ‘crazy’ or ‘out there’ and they just want to get on with their lives and continue having fun. However, nothing will be done to stop this crime until Non Targeted People become as outraged and angry as do Targeted Individuals who are subjected to this abusive crime. Now that you know the truth you can’t go back to not knowing. You now have the duty to act on the knowledge. A civilized society does not watch fellow citizens get targeted with torture until they commit suicide with out speaking out to stop that from happening. If people were to allow that to happen, and be unconcerned, we would be doomed to subjugation in a totalitarian state. All that needs to happen is an investigation into wrongdoing and the crime will be uncovered and exposed. All Non Targeted People Have To Do Is To Sign One Of Those Petitions Calling For An Investigation Of Targeted Individuals Complaints in excess of 100,000 individual signatures. This should cause and evoke a mandatory response from the Administration followed by an appropriate investigation. Bear in mind that there is extremely large sums of money behind exposing these crimes and there will be extraordinary efforts to keep it covered up. One thing you can do is observe what is happening to you in terms of injuries or changes in the physical or emotional/psychological well being of yourself (your body and mind). Notice if you become impotent or sexually dysfunctional, develop Fibromyalgia, problems with isolated arthritis which may necessitate surgery, chronic aches and pains with no known cause. Also notice if you get frequent bouts of diarrhea, if you develop Miosis or pin point pupils, have chronic upset stomach or bowel disease, sexual dysfunction especially if developed quickly, chronic back pain, if you develop chronic joint pain, especially necessitating surgery, if you develop chronic headaches which seem like migraine or sinus headaches. I had intermittent sinus pain for many years starting abruptly at age 18 without warning, which kept me in down in bed often with excruciating pain, necessitating the use of narcotic pain killers to ease the pain. One thing the Powers that Be may do though to maintain their hold, is a SYOPS where they actually do gas-lighting skit where they and their psychopathic friends will act like players in a real live theatrical presentation, featuring you as the star and the only one who doesn’t know it is a performance to advance their agenda which is to get you to do something or discover something or give something or cause something to happen. Use your imagination. You have seen many of these one act plays but you may not have noticed that some or all of the people were actors. It could also be a large scale performance which includes the media. Like in the Boston Bombing most of the people who were hurt and bleeding were crisis actors putting on this play for the benefit of the people in the immediate area and also for those who watch the scene on Television. These performances are usually put on by morons, which i have noticed and therefore the quality is usually bad. But to an unsuspecting person or group of people, it is probably good enough to fool them into accepting it as a real event happening in their lives. I know you have seen things like this happen in the movies where a grifter or confidence man and maybe in conjunction with other confederates put on an act to make someone or some group believe whatever the confidence man wants them to believe. For instance they often want to swindle a high roller out of a large amount of money. The skits or plays I am talking about are done by the military or homeland security, etc who may hire crisis actors, use unwitting citizens or witting city or county employees to pull off the SYOPS. You naturally wonder why no one gives the thing away by telling the truth. This is because they have received money to be quiet and they are often tricked into cooperating where they would seem like traitors if uncovered and would also open themselves to retaliation via injury or death and or ridicule if they said anything. This kind of thing can happen or be directed at one person or to a very large group of people. you can and should listen to this video featuring Dr. James Fetzer a Professor at U of Minnesota http://www.d.umn.edu/~jfetzer/ and also here http://jamesfetzer.blogspot.com/ , who explains this type of acting SYOPS which happened at Sandy Hook Elementary school and the Boston Bombing and elsewhere. See the following video for his explanation. For the record, I am subjected to thumb injuries every day and all day by my handler. This is one of the handlers favorite things to do. Are you surprised. you will have to get used to it, because there are many more bizarre and gruesome torture injuries, both psychological and physical. I gave the thumb example because it is easy to tell about and to understand. Do bear in mind that this is facilitated by my DNA a a national data base of which is becoming more prevalent. There is a program to take DNA samples in hospitals, doctor offices, traffic stops. Also some unlucky people may be targeted for DNA sampling and may not even be aware it was done. This goes for covert, clandestine chipping. I have some chips in my body which I noticed after medical procedures like root canal, flu shot, antibiotic injection, after general anesthesia. The thing about this is that you cannot stop this easily or at all if they are targeting you. You may not even realize it happened until viewing your past in the hindsight of being a targeted individual. Please help with activism for Targeted Individuals. The experiments they do to us are for results which can be used to subjugate EVERYONE. There is no more important and timely battle we are fighting now than to stop the targeting of innocent, private citizens. Remember that once targeted you no longer have any privacy. The government will surveil you with second by second surveillance. In addition we believe that people can be targeted on an as needed (ad-hoc) basis, where the handler targets a person using a chemical electrolyte to tag like they used on dissidents in IRAQ and Afghanistan to increase skin or dermal conductivity. The DOD called this Covert, Clandestine Tagging Tracking and Locating (CTTL) as reported on in Bob Woodward’s book when the DOD used it in the Middle east. Please read the follow article on my website about CTTL and watch the short video of Bob Woodward on The “NIGHT-LINE” TV Special. http://jameslico.com/activists-learn-of-cttl-or-fail/ . Don’t forget they did this on the fly over in the Middle East and Experts are saying that they no longer need implants to target someone. The reason being is that implants aid in torture and location of the target. yet if they already know where you are and don’t need to torture, then anyone who can be singled out at one physical location can be targeted. grata pelo material que posso compartilhar!